It’s time for the 2015 Library Photo Contest! 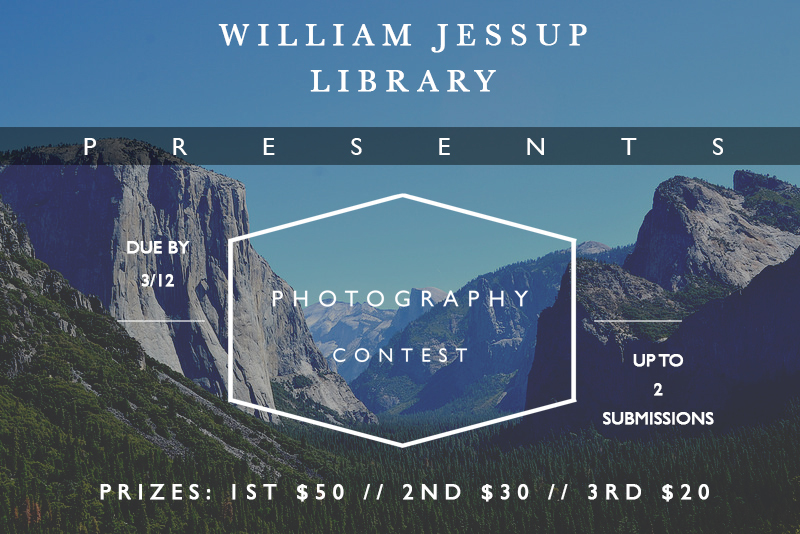 The William Jessup library wants to see YOUR photography, so now’s the time to put that hidden artistic prowess to good use. Please click on the form below to see contest details and follow the instructions for submitting photos. You will have the entirety of spring break to brainstorm ideas for taking photos, so be on the lookout for those unique subjects and angles while you travel back home. Happy shooting and the best of luck to you! Note: You must be logged in to create a submission. Only current WJU students are allowed to enter the photo contest. Please log in to my.jessup before submitting your entries. « Library book sale going on now!